VR Devices is the most popular Head-Mounted Devices. 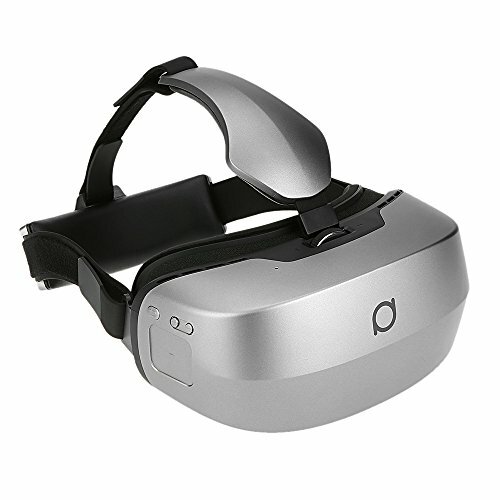 If you want a high-performance VR Equipment to gain Super VR Experience. We are honored to recommend DeePoon M2 All-in-one Machine to you. DeePoon M2 is a high-end VR product of DeePoon brand which specially designed for VR Game Lovers and characterized by its high performance configuration and low power consumption. DeePoon M2 integrates auditory sense, visual sense and tactile sense to offer you all-round extreme VR experience,bringing you wonderful Virtual Reality game experience and immersive sense, offering you handreds of VR Videos & Games. It is a great companion for traveling or staying house. [High-end AMOLED Screen] Equipped with Samsung 2K AMOLED screen with low afterglow, makes frame more fluently. AMOLED screen can protect user's eyes better with much less harmful blue ray energy. [360▲Three-dimensional Space Immersive Interaction System] 360▲three-dimensional space interactive system delivers more authentic immersive experience. Furthermore, it provides 2D, 3D and panorama format to be chosen. [Abundant Game Resources & Movie Resources] DeePoon Team offers you more than 100 Virtual Reality Games (The VR Games are being updated) and more than 300 Movies. Just enjoy wonderful VR Games and Movie Resources. [High-definition Frame & Large FOV] Combines optical amplification technology and image anti-distortion technology together, and Deepoon M2 owns amazing 96?FOV, giving you a broad perspective. [Immersive Game Experience] Supports 360▲three-dimensional space interactive system which brings you wonderful Immersive panorama experience, and also supports surround output, can enhance your Immersive Sense and make you feel like on the scene when experiencing VR games. And its built-in Sensors let the player totally immerse in the world of games, you are note separated from games but being a part of them.